Do you struggle with nature study? Do you feel like you always need a guide to make sure you are getting it all? Do you feel inadequate taking advantage of a learning moment thinking you will mess it up? Do you wish you had more ideas for implementing nature study in your own home? We know that we still learn things in nature, and sometimes our kids recognize things before we do. Some of the lessons are math, some are art, some are science, and some are spiritual. Realize that even the most experienced parent or teacher will look at an object in nature and not be able to find it all. But finding something…something new, something that just pictures something you’ve been pondering for a while… is just awesome! God made an amazing world for us to discover new things every day. We will find joy in the simplest of God’s created works, we will find a closer connection to the one who created us, we may find a unique perspective to why we sometimes have struggles, and encouragement to continue to do what is right. There is a need for parents and children to learn to recognize the things they see in nature as true lessons from God to be learned. We have developed a way for you to interact with others and learn more about the lessons God has for us in nature. 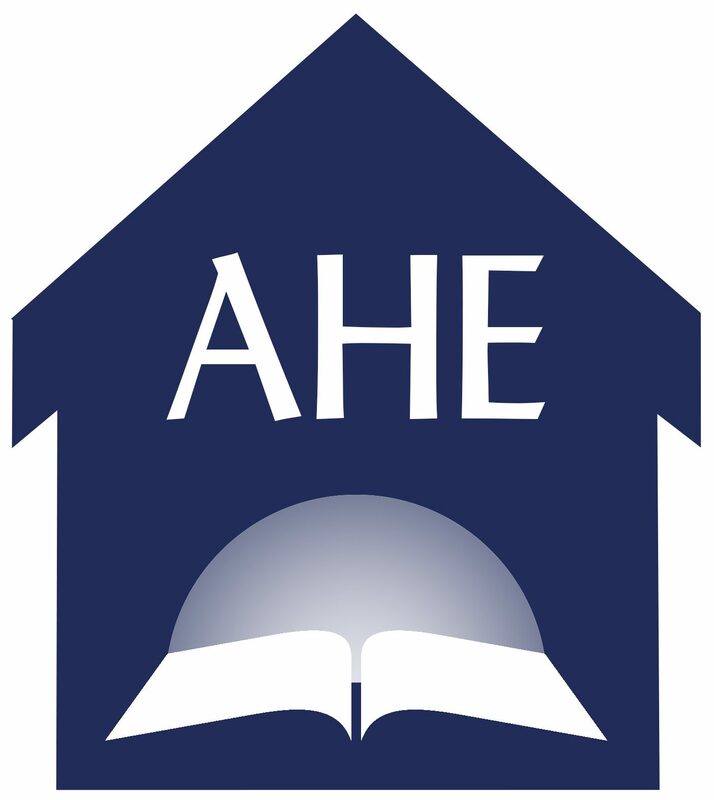 Feel free to explore the resources listed below and choose what is right for your family to participate in. Once a month, we will be posting a “Nature’s Lessons” blog post on this website. On this post, we welcome you to all share something you have learned through the comments. You can share something you’ve learned. You can also share a blog post that you or your child has written and link to it in the comments. 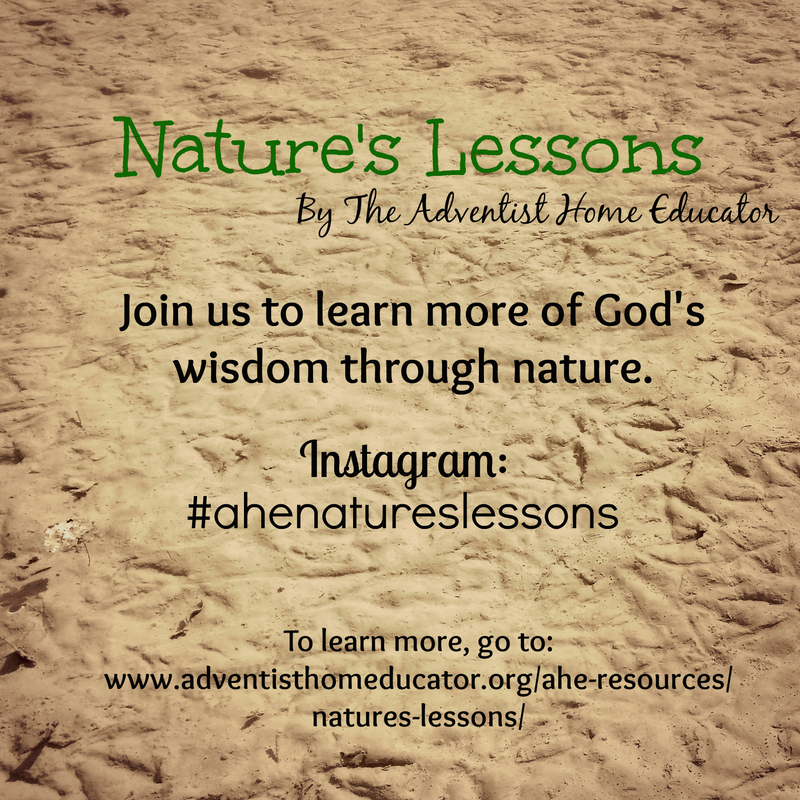 Each month, our Nature’s Lessons blog post will feature a “nature lesson” that was shared either through the comments (blog link or comment) or an Instagram photo with comments. You can follow the Nature’s Lessons blog posts by following this link. An option for those that do not blog is that we would like you to join us in an Instagram link-up by taking a photo in nature and sharing a short lesson you have learned. To stay connected, we need everyone to use the same hashtag. Then you can search that hashtag and see what others are posting. The hashtag to use for this is “#ahenatureslessons”. There are no set rules for your entries. They are your entries! You can write poems, use Bible verses, share a special thought, or share a science fact… whatever! The goal is for us to see God in nature, so if you can work your thoughts in that manner, it will be helpful for others who are trying to learn to do the same. We will be working at creating a nature themed newsletter. We hope to have it up and running soon. You can subscribe now, to be able to get the first one delivered to your inbox. More details to come as this is still in the planning stages. To opt in for the newsletter, please click on the link and it will take you off the website to sign-up. We hope to see you participating in our Nature’s Lessons activities. Let’s all explore this world God created and let’s have fun learning together!